Another change. added a turnout (left of the picture slightly out of frame). 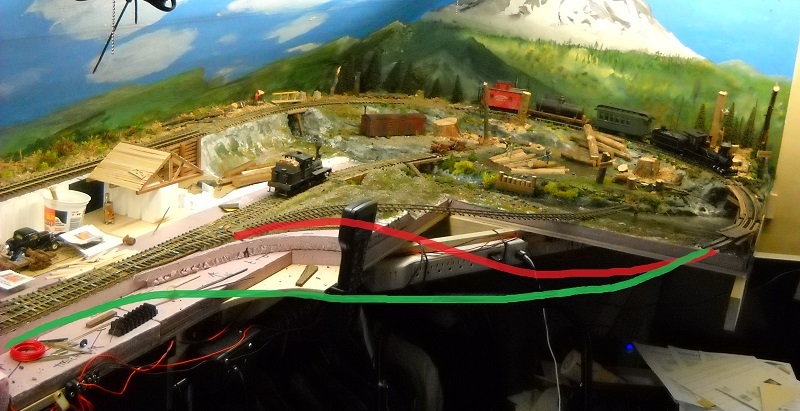 This is to ease a tight curve (in red) replace with curve in green. Kurt Moose, traingeekboy and BoxcabE50 like this. 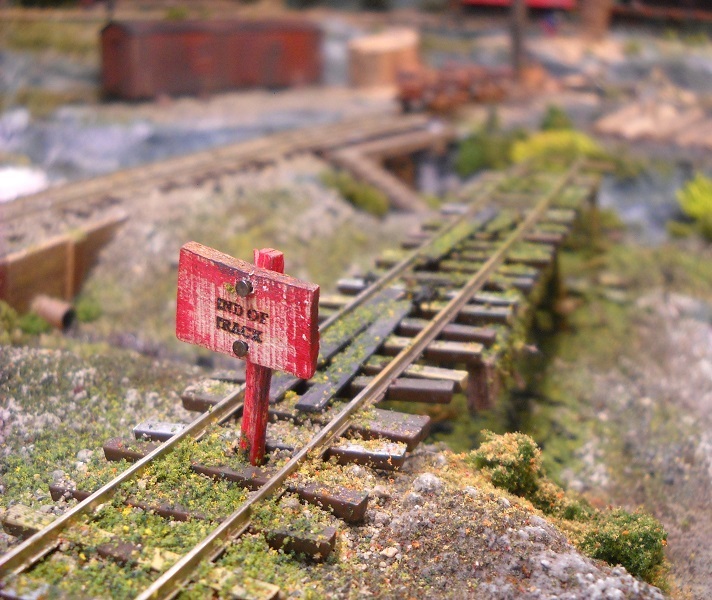 The turnoff that is in red will now have a defunct rail to a broken bridge. In work. RailMix, BoxcabE50 and Kurt Moose like this. 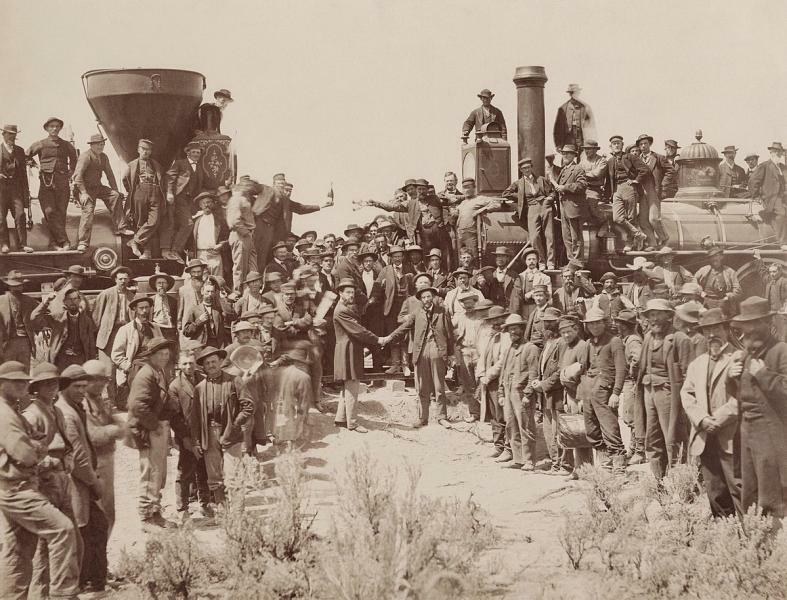 Trains waiting in anticipation for the last spike to be laid on the North end loop. fordy744, Kurt Moose, traingeekboy and 1 other person like this. End of track sign for the broken bridge. Needs a little more weathering. fordy744, Kurt Moose, RailMix and 2 others like this. 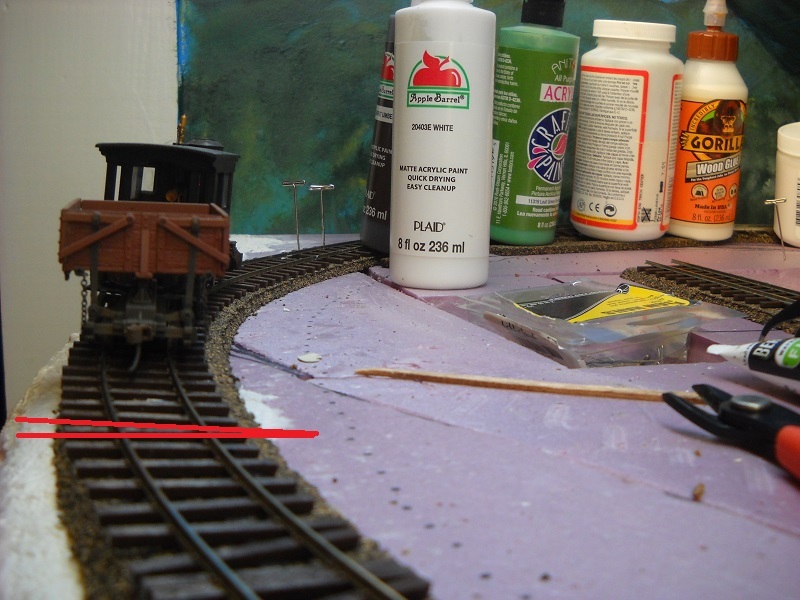 Not prototypical but adding a little supper elevation to the North end curve track to assist the loco around the bend. Models and the prototype are two different worlds. I would not worry at all. 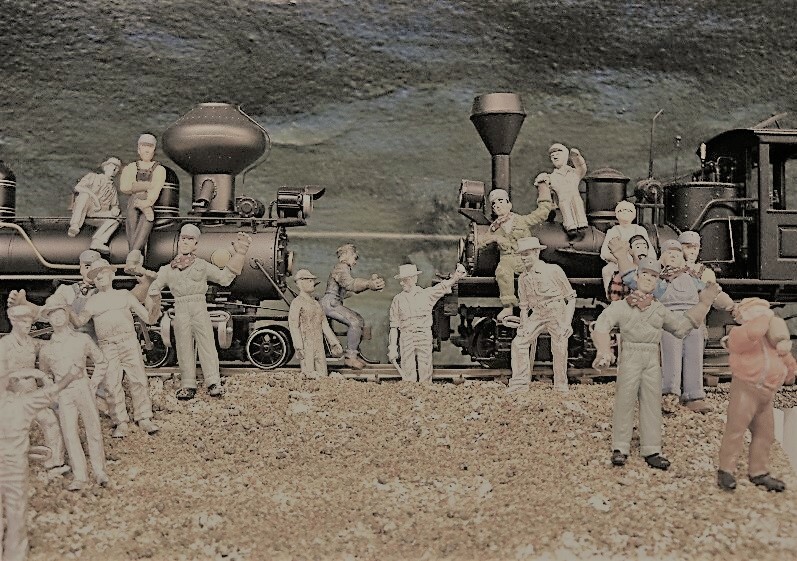 Reliable operation makes model railroading much, much more fun! fordy744, Kurt Moose, BoxcabE50 and 1 other person like this. Woo-Hoo! Let the hoopla begin! Testing the curve and a new Micro camera. Not impressed with the way it is affected by the lighting. Joe Lovett and Kurt Moose like this. Oooo. That camera must not like those fluorescent lamps. Looks like it picks up their cycles. But still the ride was fun. LED's give off some radio frequency waves, that may be effecting your camera. Make the video black & white, then it'll look like an old news reel! 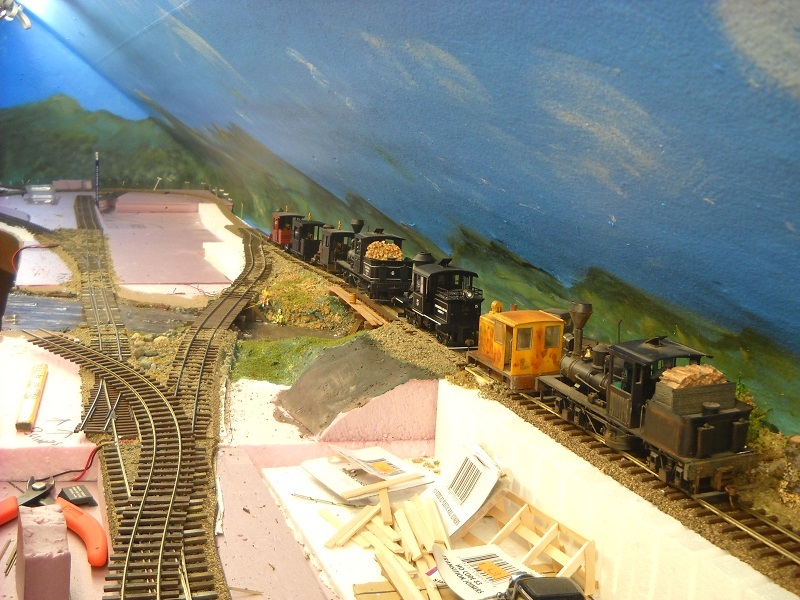 Great to see the trains running. I actually like the tilt on the one curve. As to the camera. That is an odd effect. It might be the scan rate picking up the flicker in the bulbs. A more expensive camera will likely have things built into it to reduce that kind of effect. 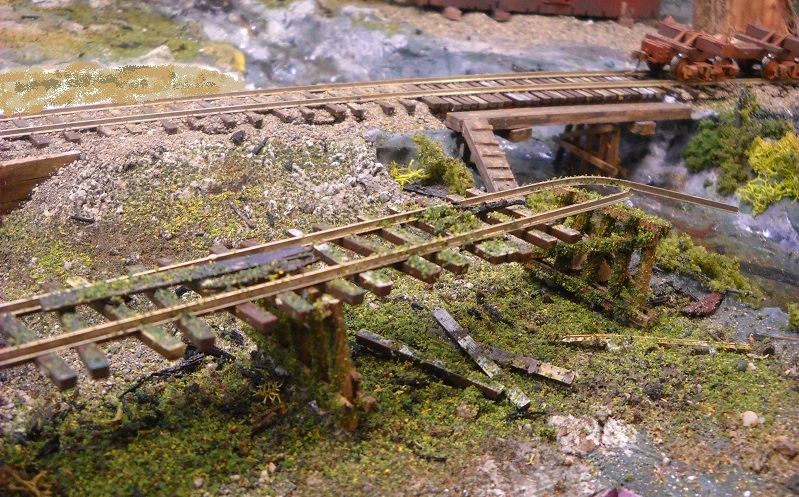 Also, that old spur with the bridge could be used as a storage track, or you may want to create a ore dump bridge there for those little dump cars. Bought a dimmer and it made it worse. I think I need to rethink my lighting, maybe buy LED colored strips that are dimmable. Ordered a 20' strip of dimmable color changing LEDs with supply and remote. should be here later today. Lets see how these do.